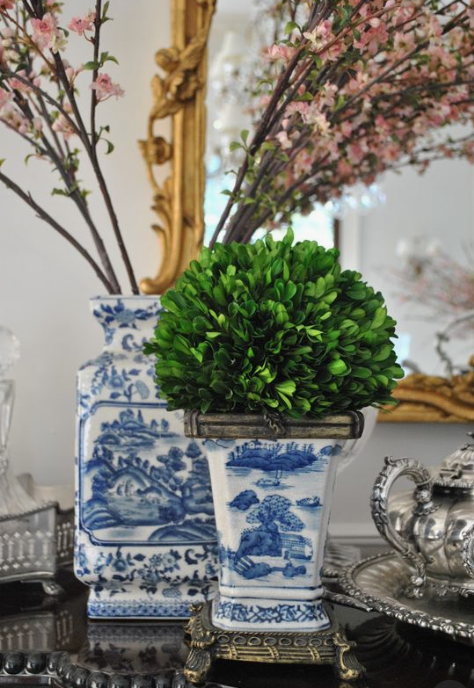 Good morning, if there is one thing I love besides blue and white, ginger jars and flowers of course- it’s boxwood! Inside and out, this is my absolute favorite green plant hands down. It helps that it’s super hardy and can withstand brutal NY winters. 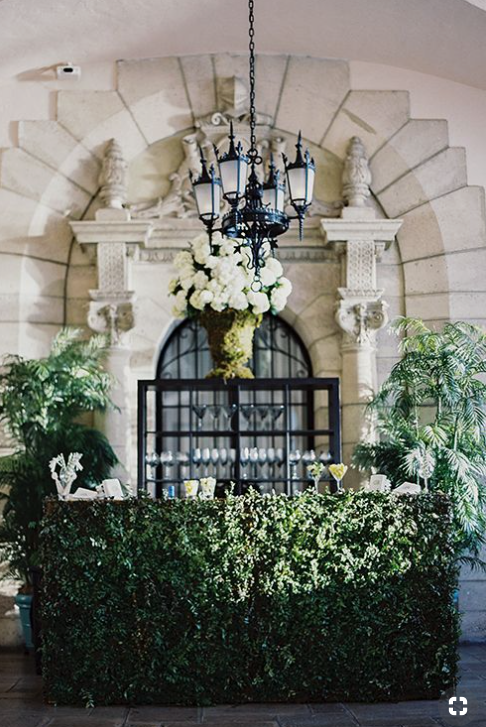 Inside its as elegant as can be, and a touch of greenery almost anywhere works so beautifully. I have it in my own home outside in abundance and in several areas of the interior as well. It is stately, shapes so beautifully and is amazingly resilient. 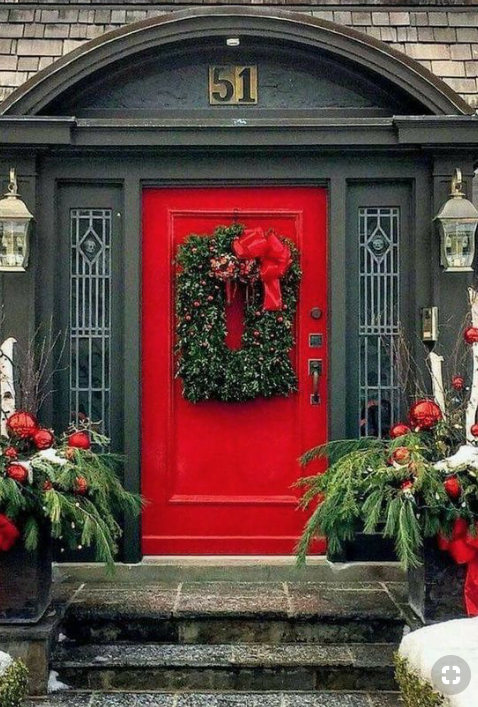 LOVE it by a front door, it is always so regal looking. 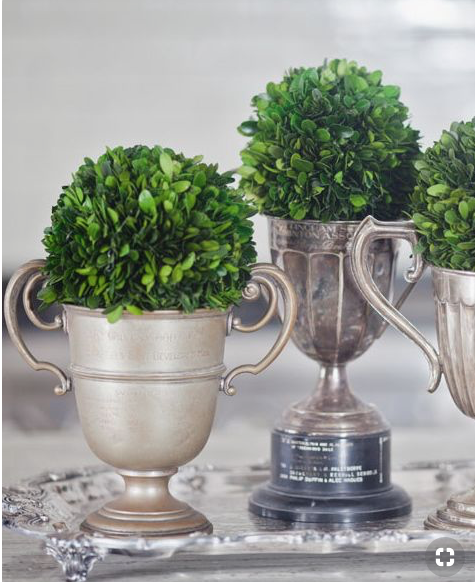 My love of boxwood is what inspired me to carry both the preserved and faux variety on my shop site. 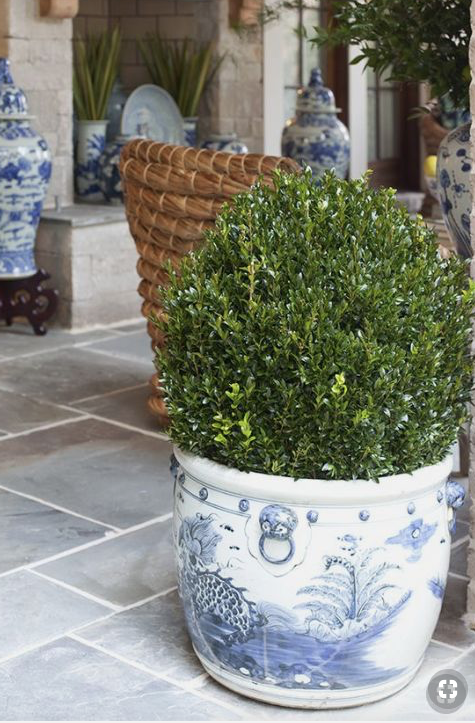 Today is all about boxwood, indoors and out. 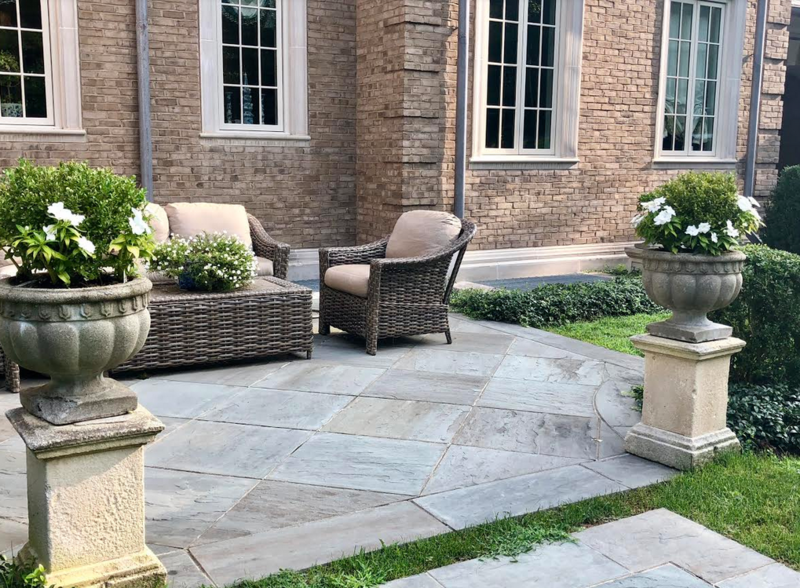 Included some of my own pictures but you might get some ideas of your own here or care to share how you like to use boxwood. To me, it is always classically beautiful! 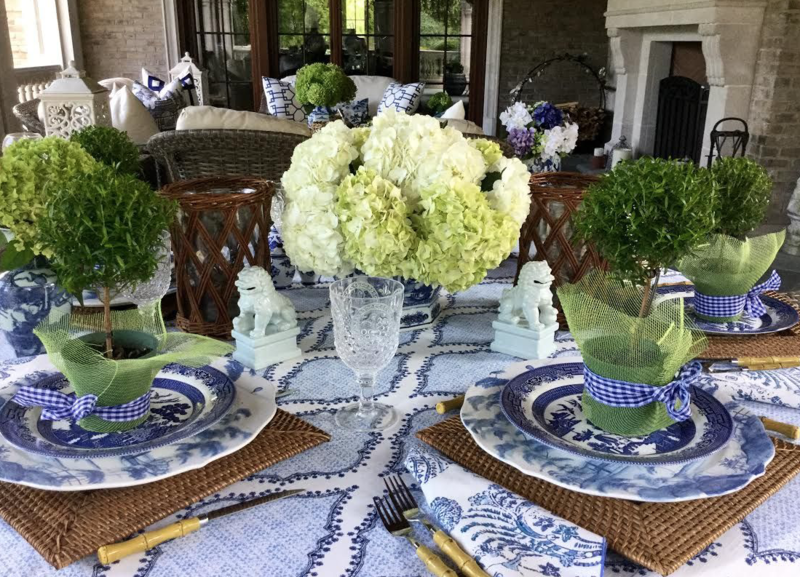 When you don’t have flowers, a boxwood will always work beautifully as Carolyn Roehme shows us! 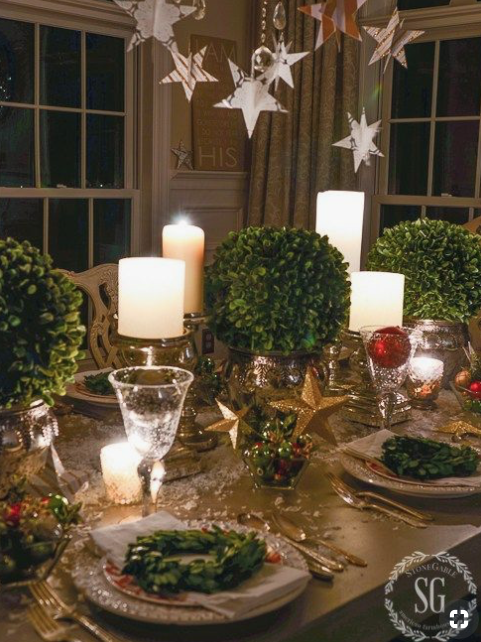 Isn’t how Stone Gable used boxwood front and center on her holiday table inspiring and so beautiful! 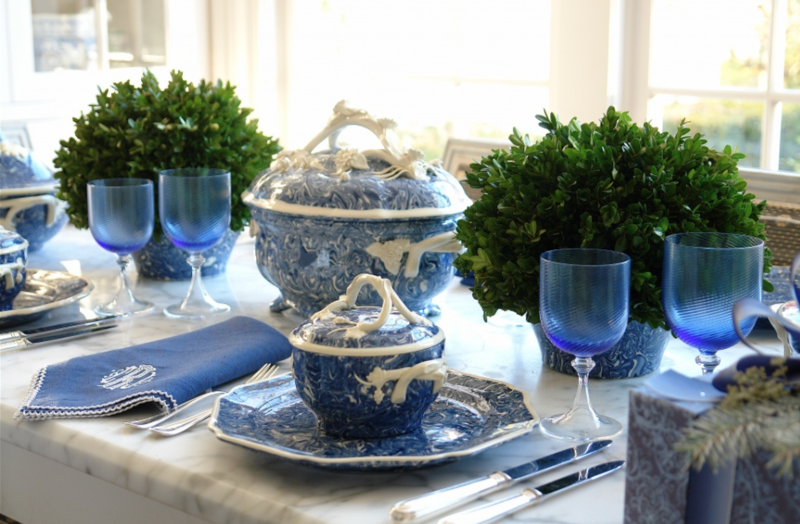 Clearly Carolne Roehem “gets” boxwood (and blue and white for that matter)! 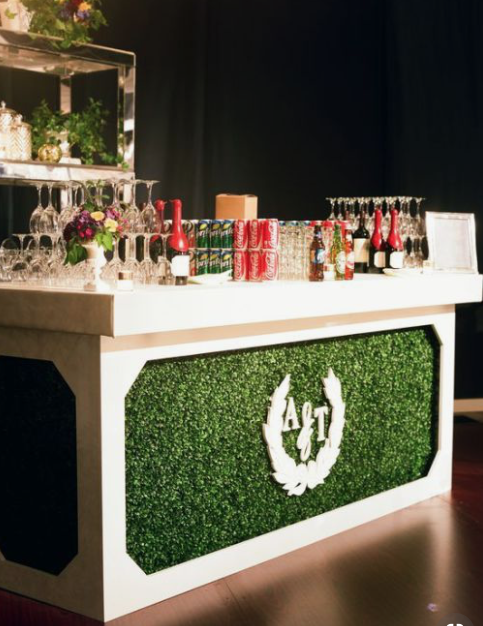 Adore how party planner Debi Lily used boxwood as a big part of the theme for this fabulous wedding! 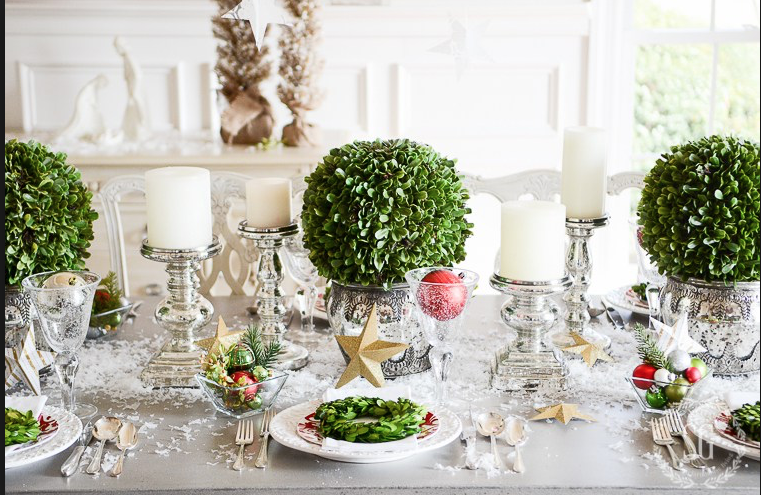 So love boxwood….indoors or out. How about you? 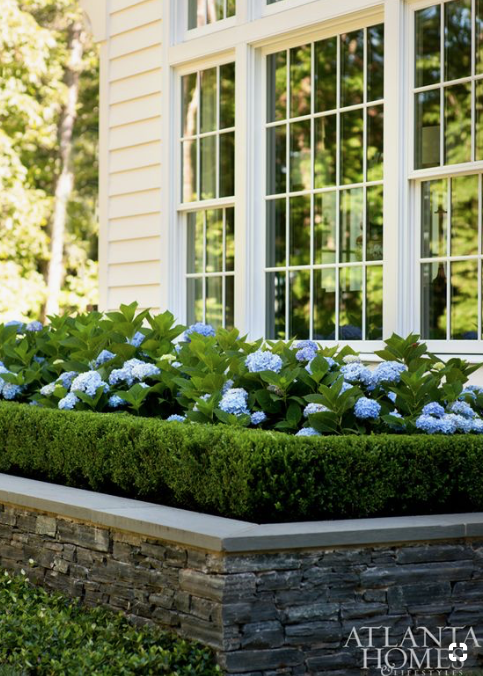 Do you have boxwood? Any special way you like to use it? 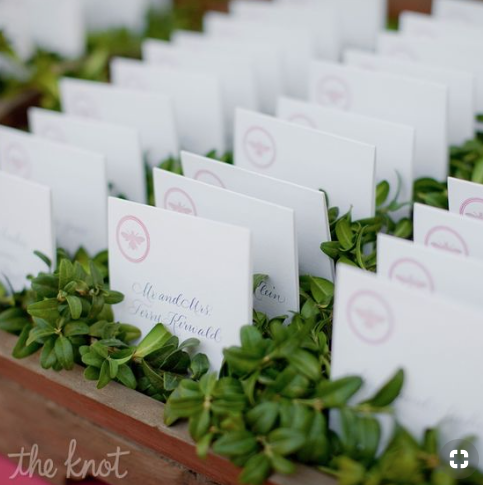 This has me thinking of new ways to use it, and you can be sure that when one of my sons gets married, I will hope they will allow boxwood to find a place in the decor:) Maybe on a bar or the name cards, which is such a beautiful touch. So many great ideas here, if I say so myself! Would love to know your thoughts on the subject. Thanks for stopping by, until next time………. Fabulous post! 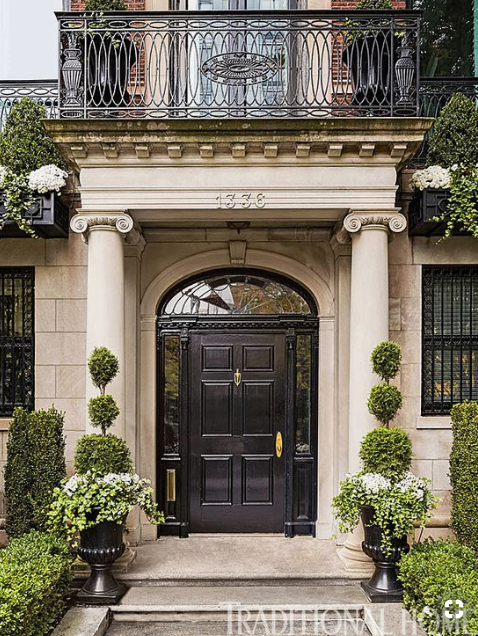 I spent 60 years thinking boxwood was boring and leopard print was trashy. I’ve spent the past 5 years making up for my WRONG opinions! 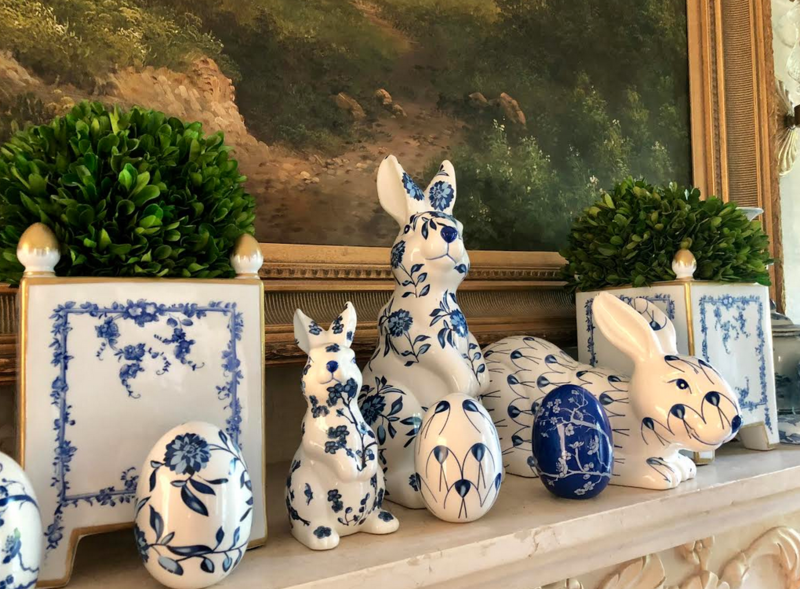 Now I CRAVE boxwood anything–recently bought some faux from Enchanted Home and I love it–and leopard print has found its way into my home decor and wardrobe. 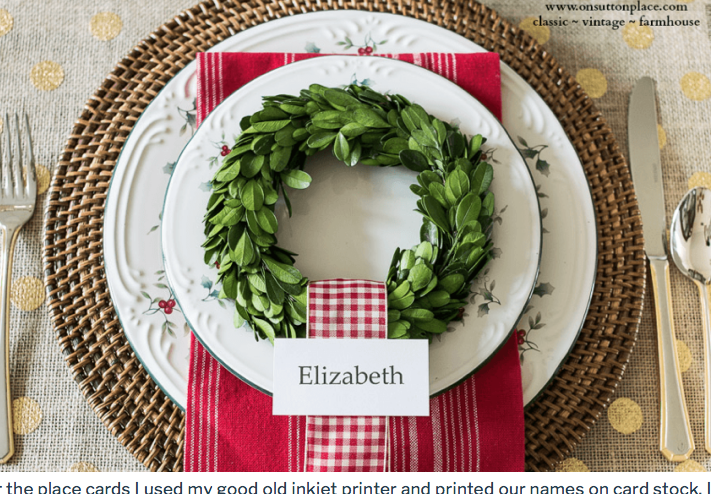 Thank you for showing so many gorgeous ways to use boxwood. Love, love, love boxwood, but a little apprehensive about maintaining the treated. I love boxwood too. Fourteen years ago I moved into this house. I have planted over 110 boxwood in my back yard alone. I keep it trimmed and did a parterre. I also made a hedge around my perennial garden. I live in the Midwest and we too have harsh winters and hot summers. Boxwood never disappoints. 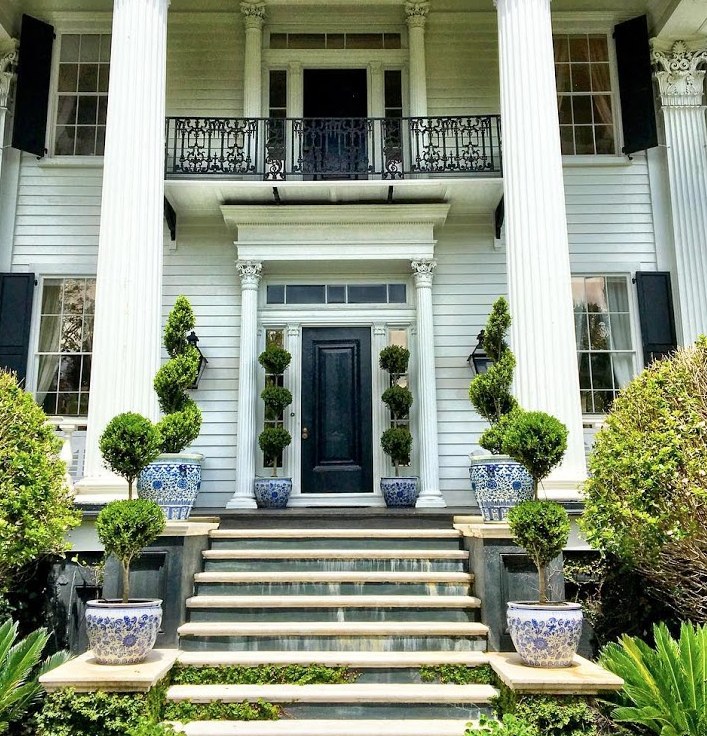 My urns are often in front planted with boxwoods. In the fall I add them to other locations for the real ones wouldn’t last in the urns. 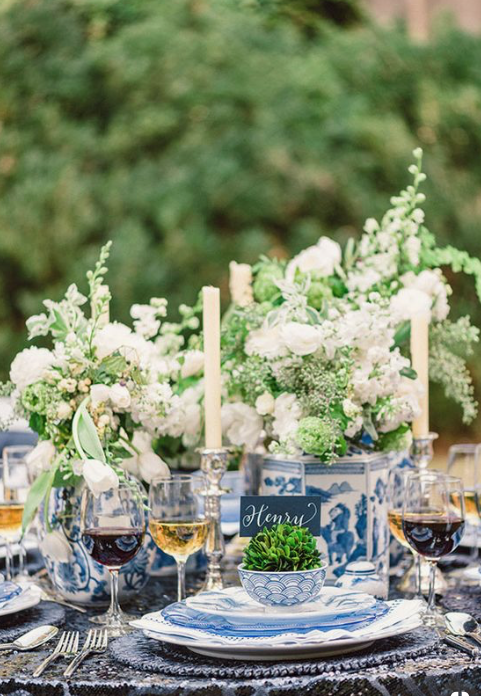 So many beautiful ideas here, love it for an event/wedding. 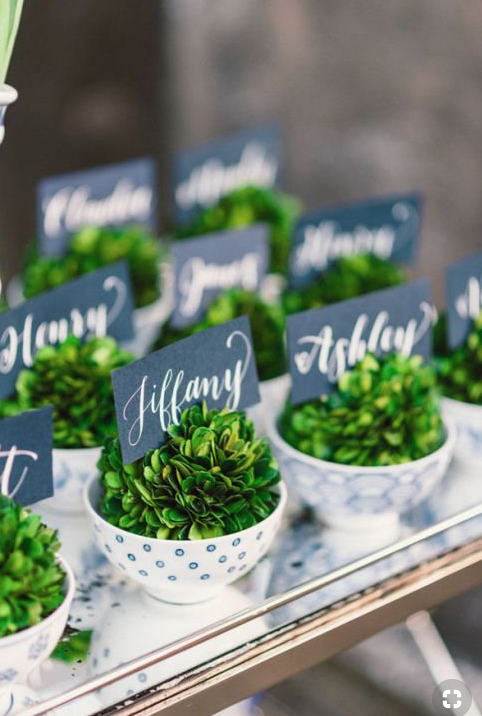 I adore the way you used it both indoors and out and Tina those minis at each place setting stole my heart, what a clever idea and a favor I am sure everyone was so happy to take home. 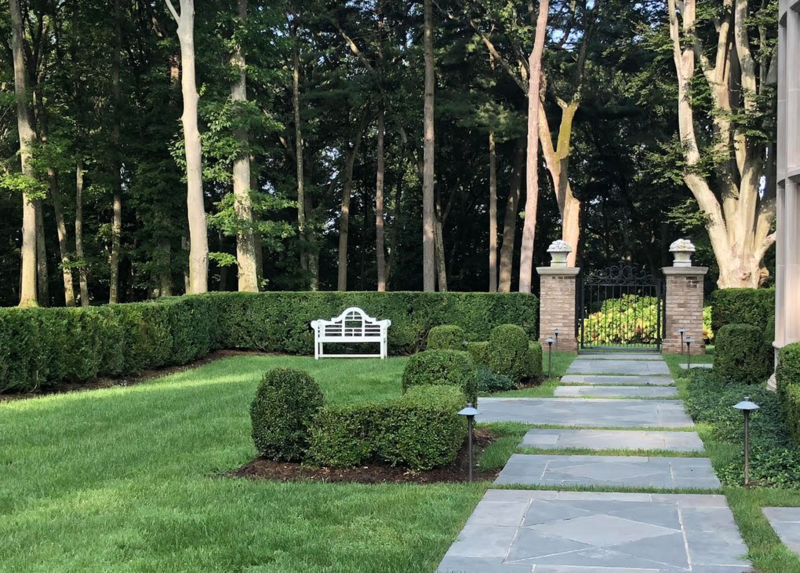 We are building a new home in Weston, Massachusetts and plan on using plenty of boxwood in our future landscape plan. I will bookmark this post, beautiful! 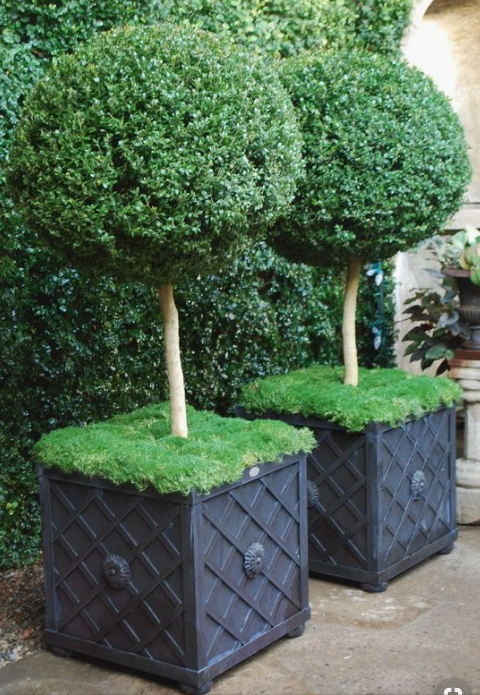 I love boxwood! It is so versatile and it always looks great inside or out. 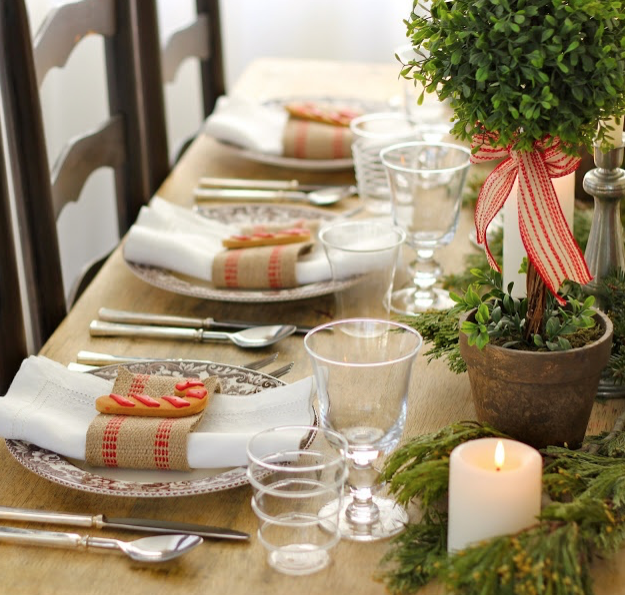 I’m pretty sure that the party favors on the plates in foto #4 are rosemary, not your boxwood. 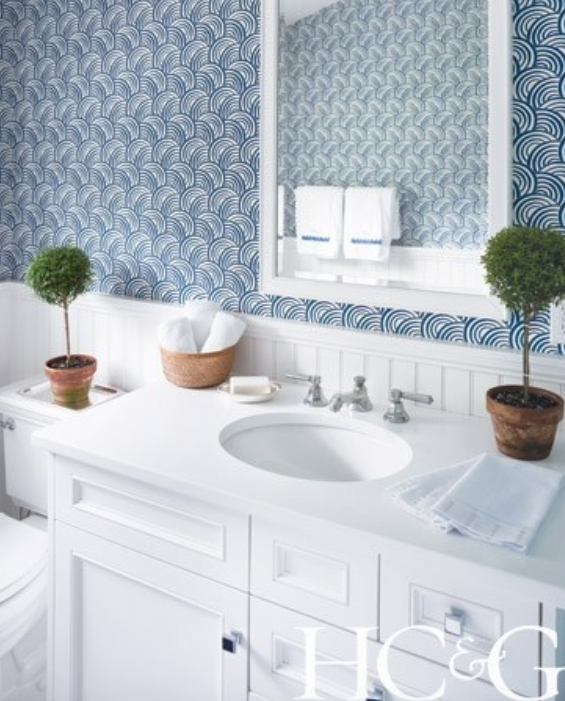 Love the box Woods with anything blue and white. Love love love your pics. I could never get enough! Thank you! You outdid yourself. Nice work! I agree!!! Actually i agree with everything you say and do!!!! Love it all!!! Simple IS elegant- but it seems so hard to get right! Thanks for the help, Tina! 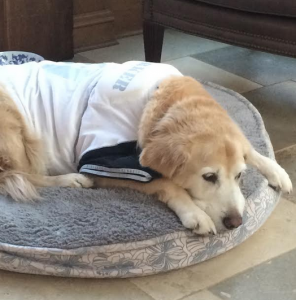 Thank you for mentioning the resource…I immediately went to the site and had to order the dog as well the squirrels. Just had to have them. 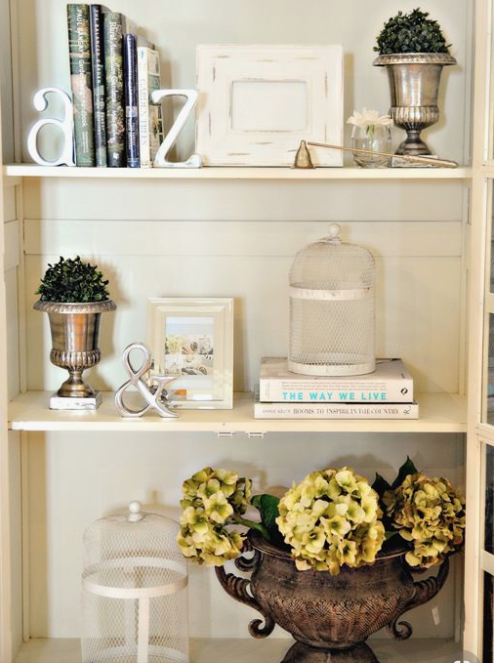 Love anything boxwood real and faux. HI Tina! 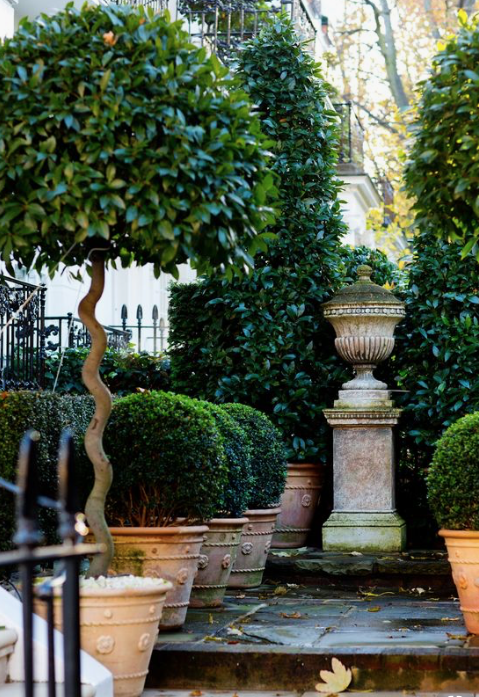 I love the boxwoods – I think they are so elegant and timeless! 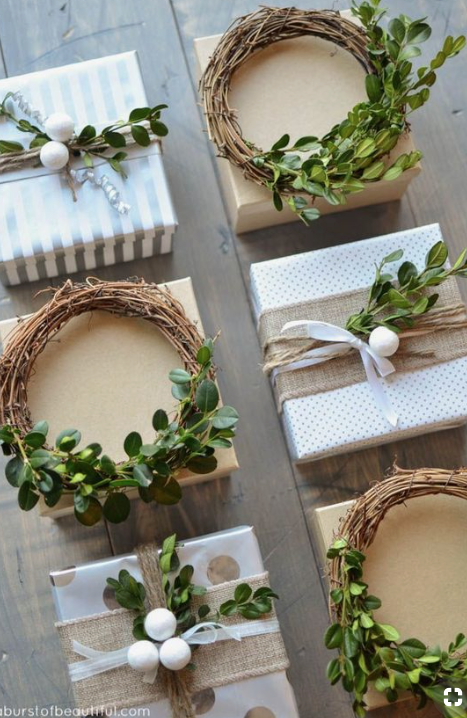 I especially love the little boxwood wreaths on the gifts and as an accessory on the dinner plates!!! 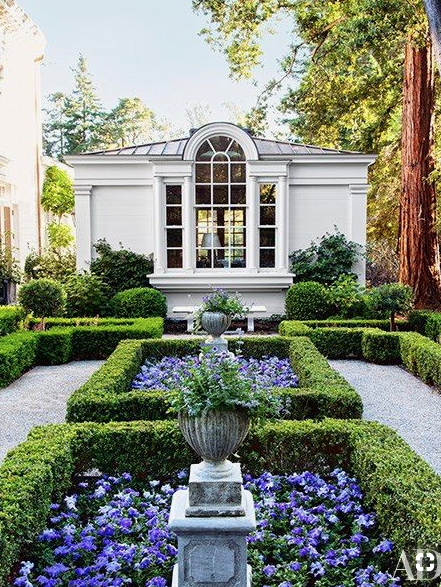 Love love, love ALL your post; but you nailed it with the preserved boxwood. 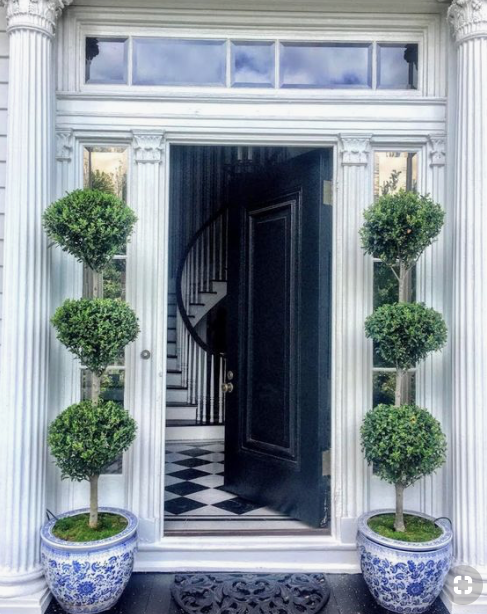 I have used preserved boxwood all over my home through the years and I have never tired of its simplistic beauty. You do an amazing job with your blog. So grateful to share in your talented pits. 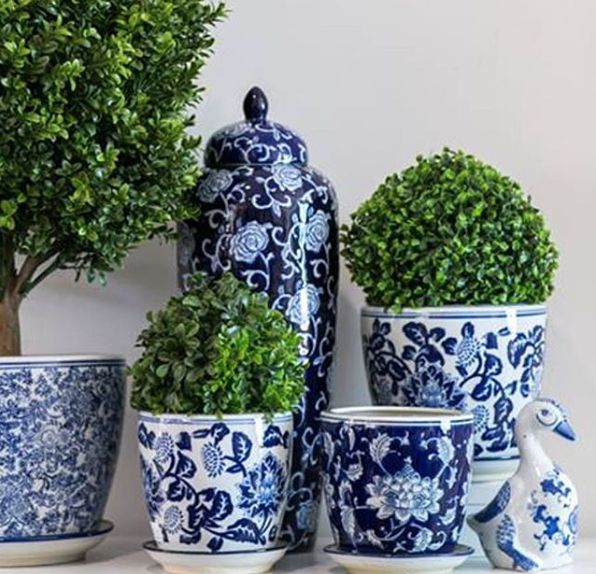 Your lovely blue and white porcelains with boxwoods are gorgeous! I love blue and green more than any colors out there. 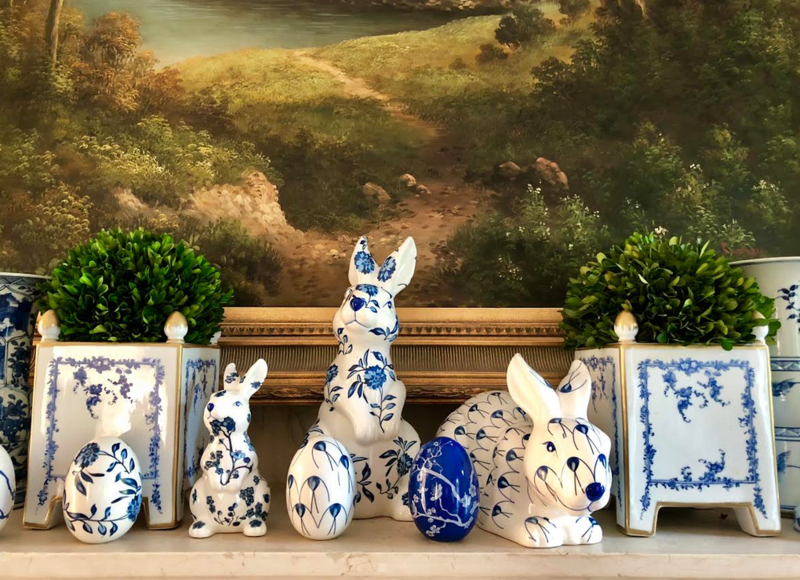 I just saw a new porcelain I “need” for my house. Thank you for the beautiful post. So inspiring! (And Sunday’s post was terrific!!) .Thank you!! Hi TINA cannot tell you how much I enjoyed this post . Such a beautiful collection of pictures. 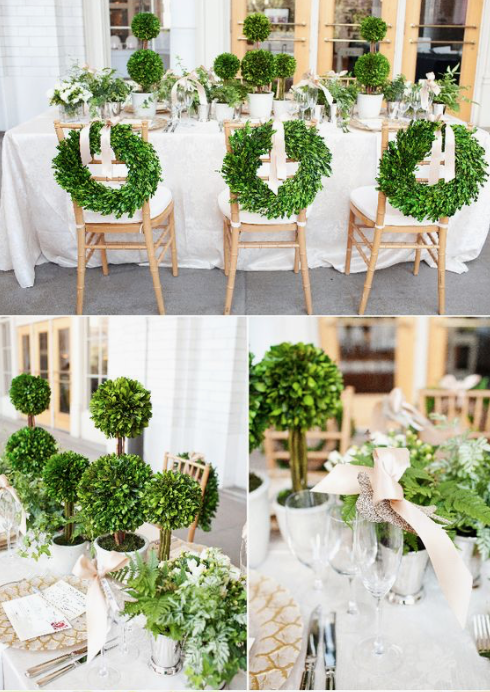 We had a engagement party for my stepdaughter last year and the party planner that we used wanted to do boxwood balls along side each long table, at first I didn’t get it and questioned the idea . Because I trusted him however and knew that he is extremely creative we decided to let him do his thing . Well, that was certainly the best decision I could have made it was absolutely beautiful the Rich green added so much to the venue. 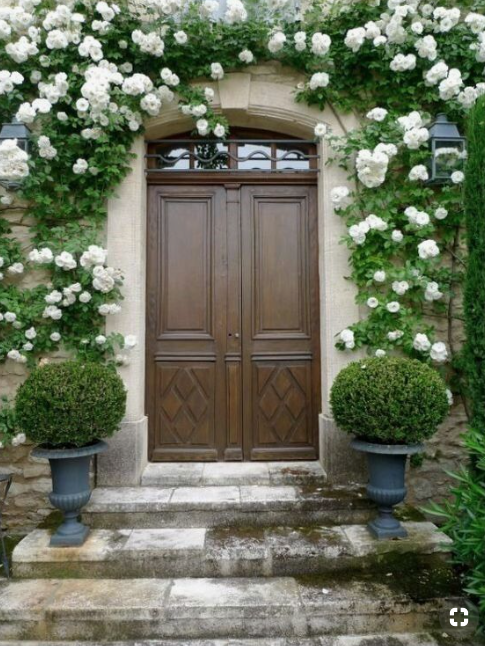 Like you I am a very big fan of Boxwood . 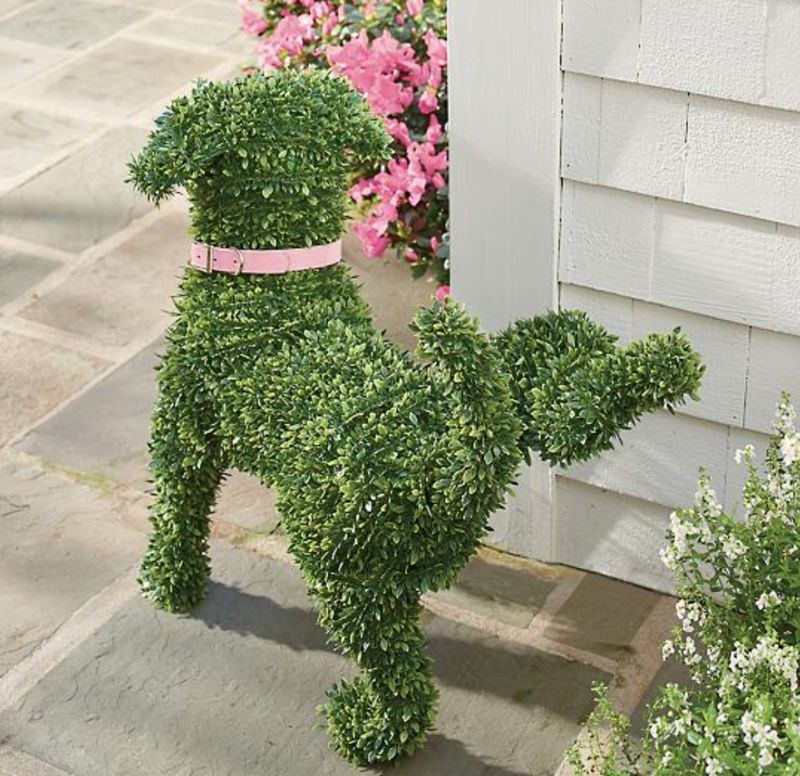 Love all your boxwood pictures. Great new ideas!!! 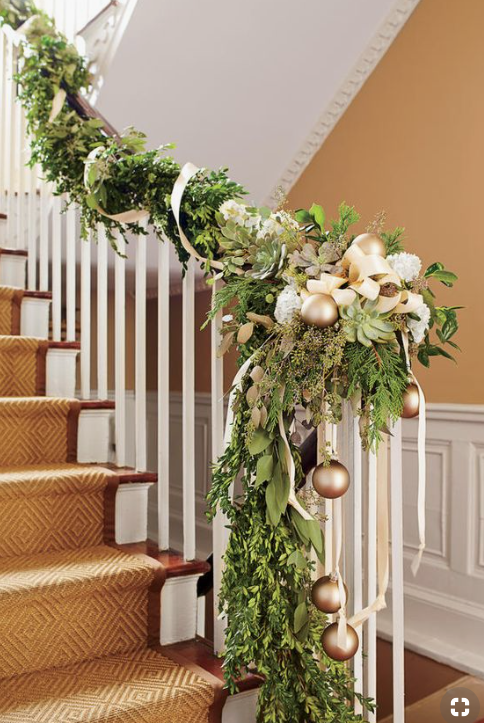 I really love the boxwood garland and well just about everything else too. I love to use lemon leaves and magnolia leaves for garland too. Thanks for the lovely! I love boxwood and have more than 400 in my yard. And it’s the best to use cut inside for easy arrangements that last forever.